In the first half of this “best jazz albums” article, I made the statement that we should strive to see value in different styles of music because it leads us to appreciate people who are different from ourselves. I really do believe that. We will always have preferences; however, we can learn to enjoy a variety of artistic expressions and those who create them. 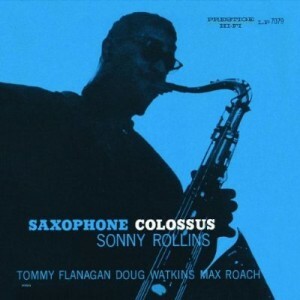 Saxophone Colossus is one of the most successful of the late 1950s albums. Though Sonny Rollins isn’t considered an innovator to the degree of John Coltrane or Miles Davis, he played with a fat, round tone that fit his melodic playing style, making him one of the most listenable postbop musicians. Rollins’ impeccable playing is backed by the formidable Max Roach on drums, Tommy Flanagan on piano, and Doug Watkins on bass. Rollins is equally comfortable with rhythmic Caribbean stylings (St. Thomas), standards (You Don’t Know What Love Is), and blues (Strode Rode). The album also includes a lovely version of Brecht-Weill’s Moritat (better known as Mac the Knife). If you are new to straight ahead jazz, Saxophone Colossus is a wonderful introduction. The Philadelphian bop artist and trumpeter Lee Morgan apprenticed under Art Blakey and Dizzy Gillespie before rising as a leader in his own right in the early ’60s. Although profoundly influenced by both Gillespie and Clifford Brown, Morgan developed a sound of his own that combined flowing melodies with half-valve effects and Latin nuances. The Sidewinder features then up-and-coming tenor saxophonist Joe Henderson, Detroit pianist Barry Harris, bassist Bob Cranshaw, and drummer Billy Higgins. The title track, an unconventional 24-bar blues with an infectious bass line and backbeat, instantly became one of the most popular pieces in modern jazz history. The other compositional standout is Totem Pole, a minor Latin groove featuring an outstanding solo by Henderson. Every track on this classic album is an absolute gem. In the mid-1960s, a unique style evolved among the younger musicians associated with the Blue Note label. This postbop style blended the spaciousness of Miles Davis’ modal period, the fire of Art Blakey’s Jazz Messengers, and just a touch of the avant-garde. Maiden Voyage is representative of that development. Hancock’s brilliant sea imagery is given form through a music containing plenty of tension and release, strong melodies, and suspended harmonies. 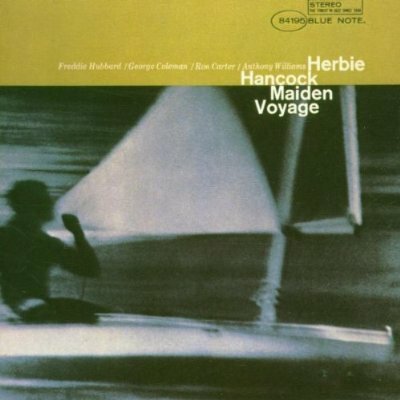 The album features the modern jazz classics Maiden Voyage (the title track) and Dolphin Dance. Trumpeter Freddie Hubbard was at a creative peak, exhibiting extraordinary Coltrane-like technical fluency on Eye of the Storm, while underrated tenor saxophonist George Coleman adds his mature lyricism. The band on the Speak No Evil session is an exemplary Blue Note group of the period. For his journey into jazz innovation, tenor saxophonist Wayne Shorter brought with him Herbie Hancock on piano, Elvin Jones on drums, Ron Carter on bass, and Freddie Hubbard on trumpet. The adventure brought them to a remarkable destination – a space for creative play between the soloists and rhythm section. This new kind of “cool” was a mixture of restraint and freedom. The music is both secure and free flowing, and sometimes manages to exhibit tension and calm at the same time. This album is a personal favorite of mine. 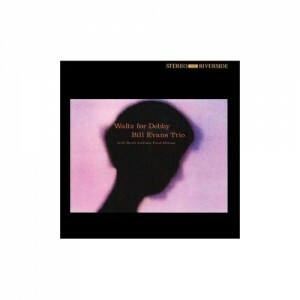 Waltz for Debby is the fourth and final album by one of the most influential bands in jazz history, a group that redefined the notion of the piano trio. Recorded just days before the highway accident that took the life of bassist Scott LaFaro, it epitomizes the level of creative interaction that made the Bill Evans Trio a forerunner of jazz in the coming decades. Evans, LaFaro, and Paul Motian all play with great freedom in these performances, maintaining a keen balance and an enveloping sense of beauty. The flow of tempos and moods calls attention to the musical depth of the trio, casting a light that remains undimmed more than 50 years later. For those just discovering jazz, Waltz for Debby is very listenable and enjoyable. This concludes my list of the best jazz albums for smooth jazz lovers. I hope you enjoyed the ride. Most of all, I hope you learned to appreciate the astoundingly talented musicians who created them.